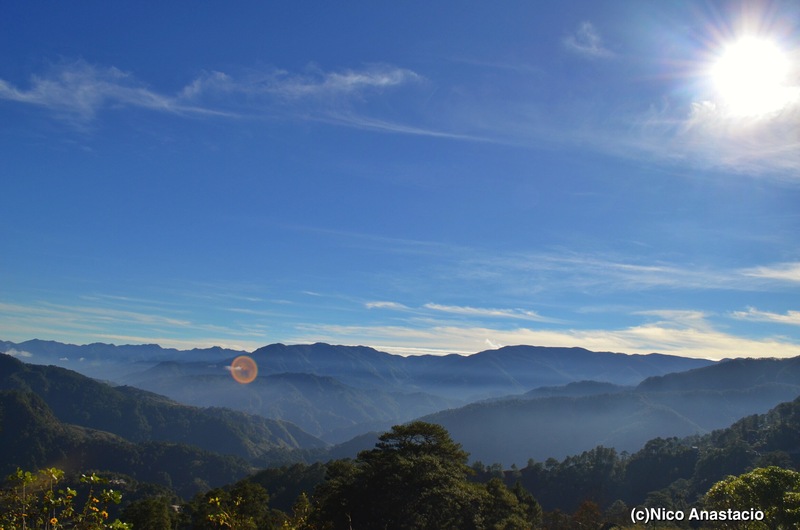 As part of our team building, planning and Christmas vacation, we traveled to Sagada, Mountain Province. Typically, the weather in the area is very cold because of its high altitude. Since we went there during cold December days, we were able to experience the temperature drop of upto 14 degrees Celsius, thus, it was so difficult to walk around the town even during noon without wearing a jacket. 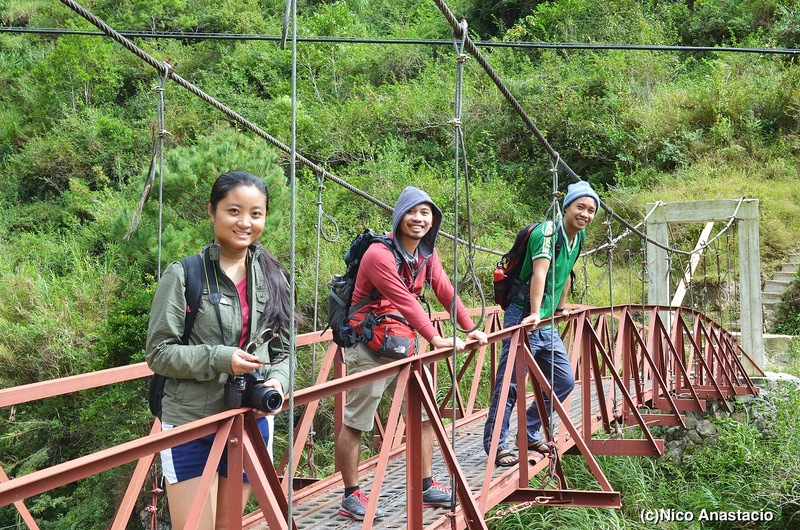 When we arrived in Sagada, we ate our lunch then our friend immediately toured us around. The first in our list was an old Anglican Church near the town proper, the Church of St. Mary the Virgin. 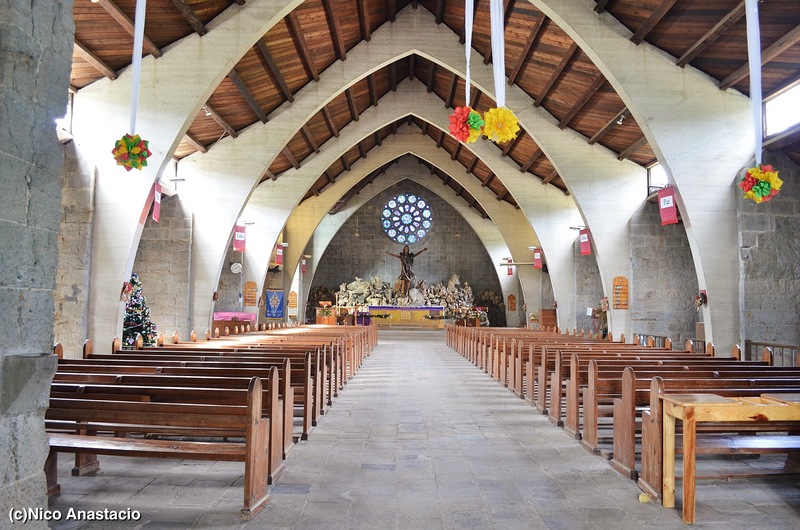 This church was part of the Episcopal Diocese of the Northern Philippines. The church was founded by Rev. John Straunton in 1904. The interior of the church was very much like the interior of a Catholic Church, from the long chairs to the statues, to their beautiful stained glasses. The design was very simple, a combination of wood and concrete. 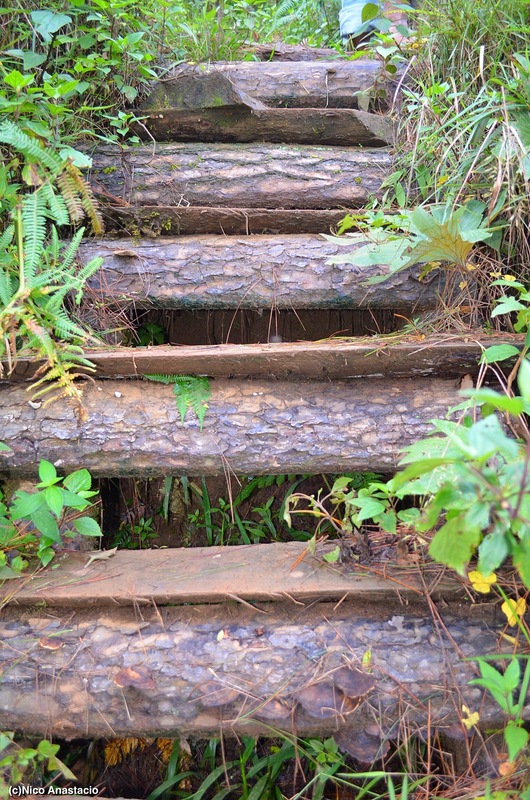 As part of the trail going to Mt. 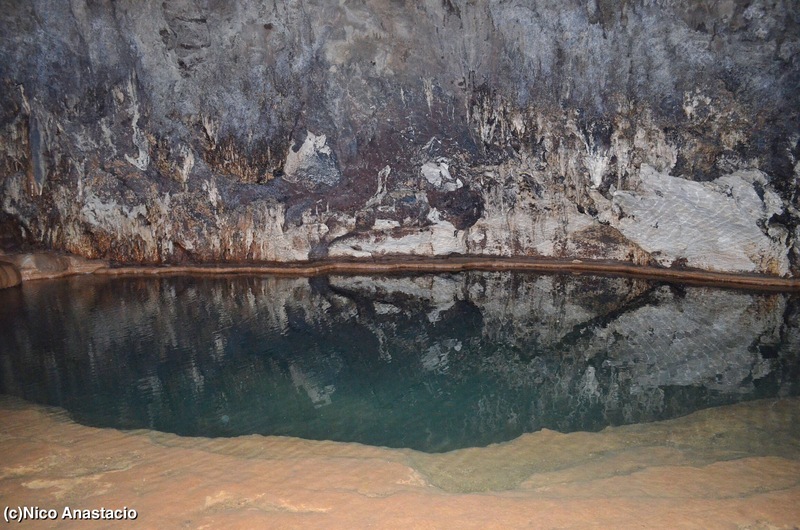 Ampacao, you could have a very refreshing stop over in Lake Danum. 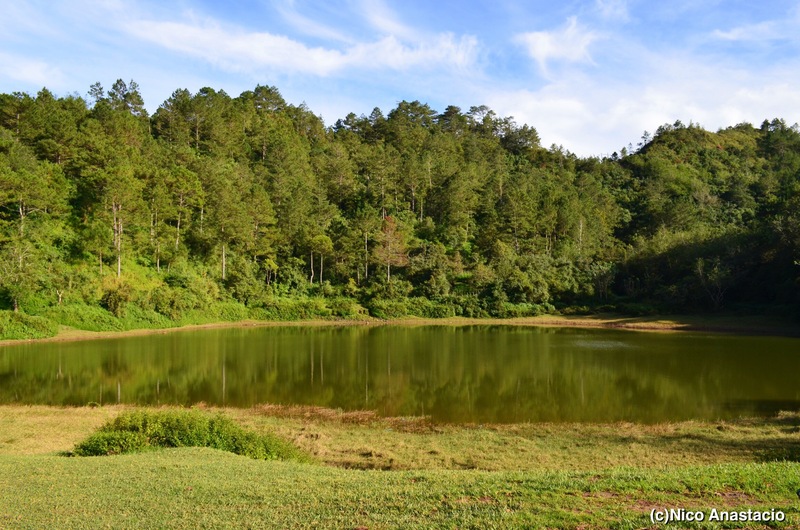 The word “danum” is a local word which means liquid or water. The scenery was overwhelming. A real play of colors. I asked our guide whether we could swim in the lake and he replied that we could. I just didn’t know if he was telling the truth or just joking. Anyways, I didn’t try to swim. As you can see in the picture, the lake was eutrophic, so it was very hard to tell whether you were in a very deep area or just in a shallow portion of the lake. 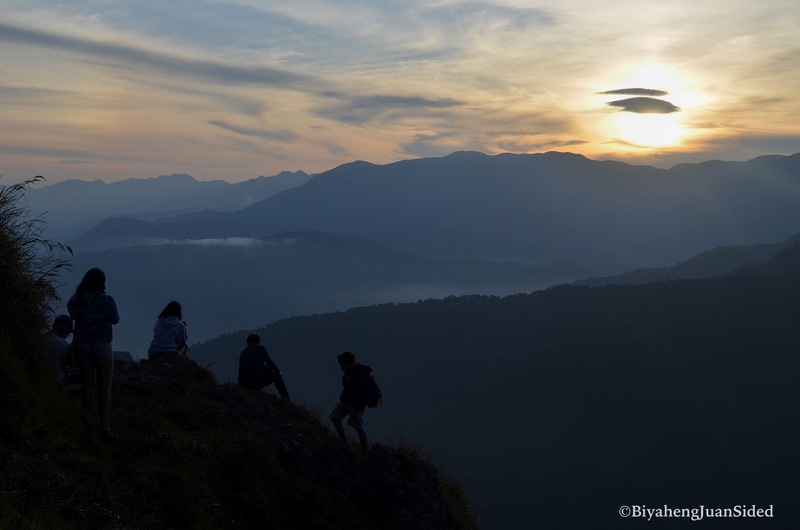 Lake Danum is also famous for its majestic sunset view. After going to the Church of St. Mary the Virgin, we went to Echo Valley. 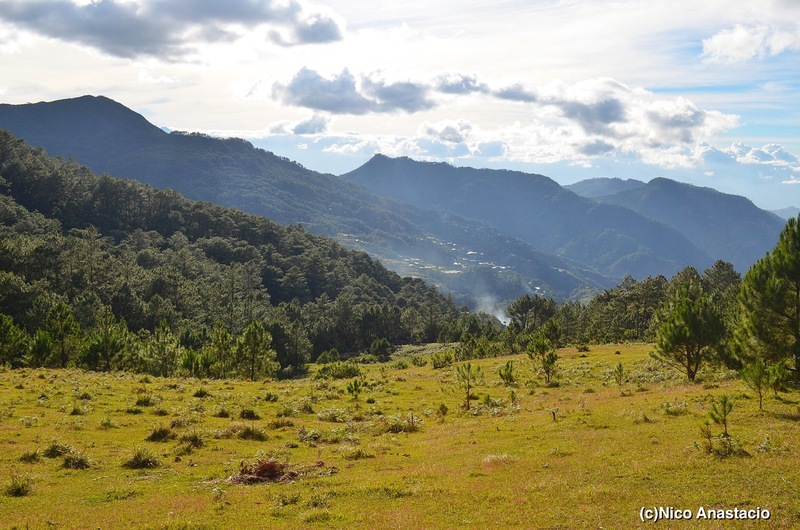 The echo valley was also just few minutes walk from the town proper of Sagada. The valley was so called Echo Valley because of the echo made after shouting. But the valley was not only visited for its majestic views and sound echoes. 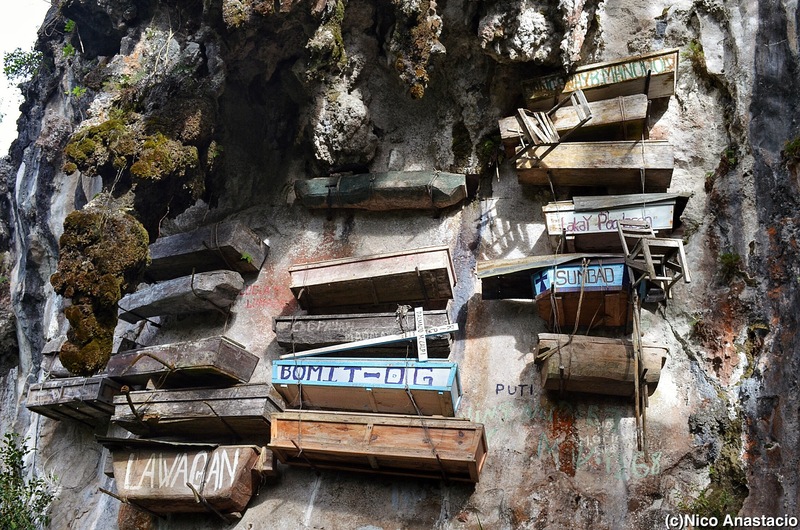 One of the best, if not the best, attraction in the valley was the famous hanging coffins. 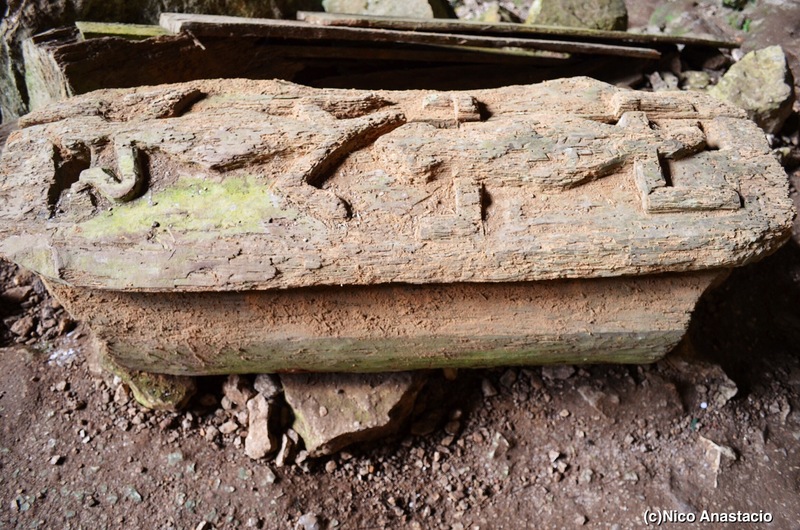 The coffins were attached to the high rock formations like decorative pieces on a concrete wall. 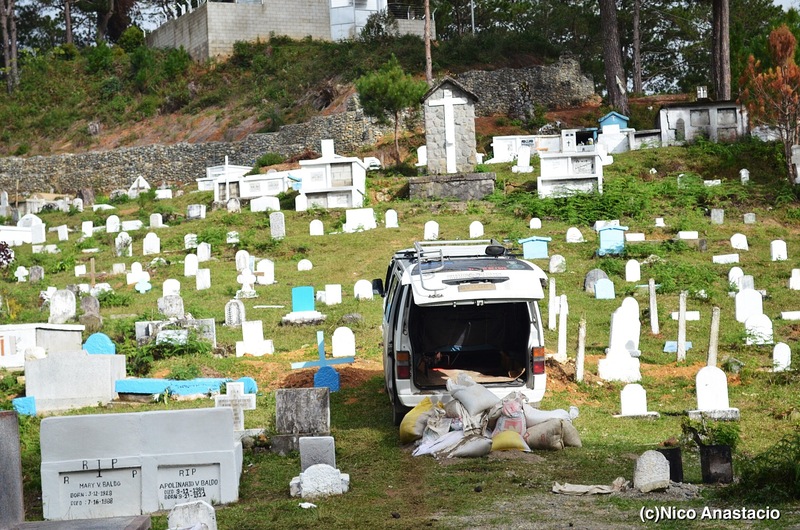 The coffins were in different sizes and colors. Although I have a fear of enclosed places (claustrophobia), I still tried to do the cave connection. 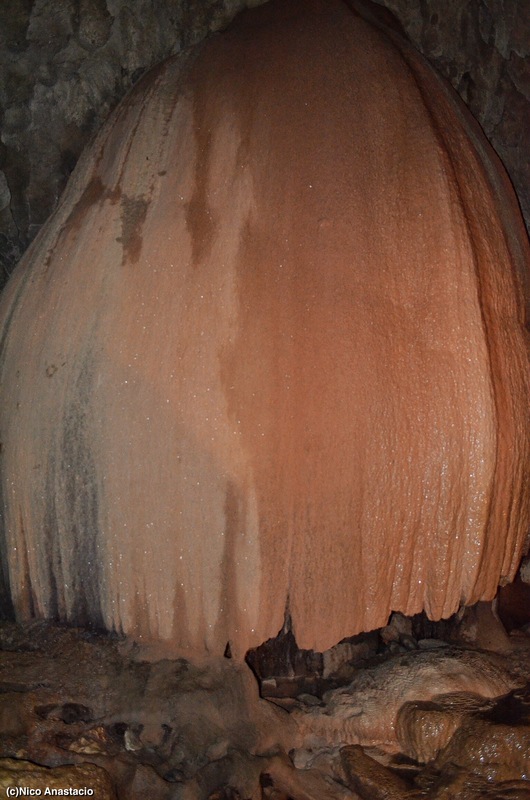 Since it was my first time to try this kind of activity, I was overwhelmed with the different rock formations inside the cave. Our guide was also creative enough to make a story out of these rock formations. 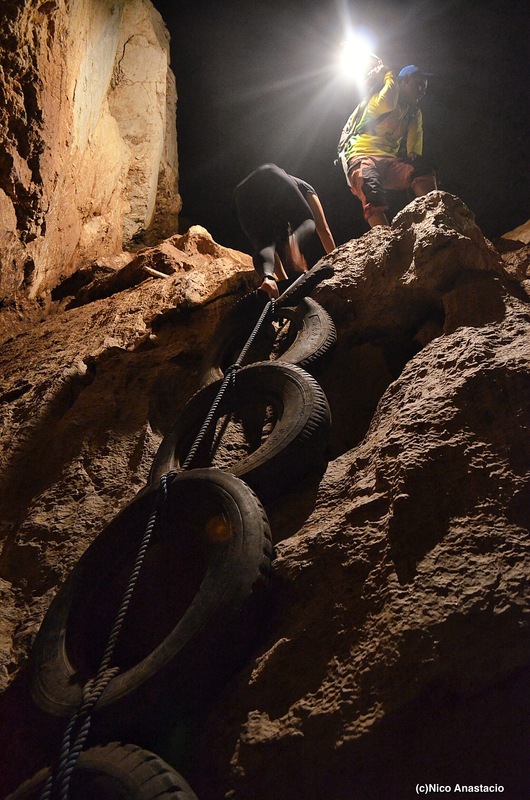 We were able to finish the cave connection activity for around 3 hours. 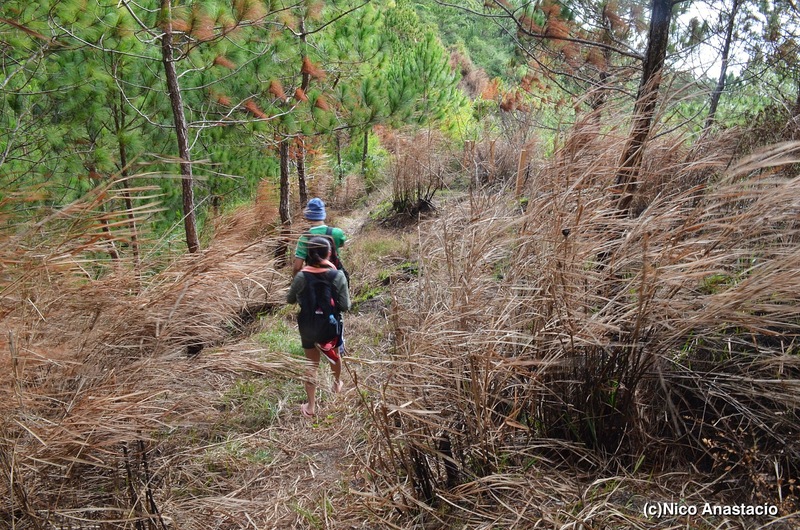 Since our group was also composed of hiking enthusiasts as myself, we also went trekking to Mt. Ampacao after we finished our spelunking activity. The scenery along its trail was very breathtaking , from the view of the town to the wide array of floral and faunal species. Along the trail going to Mt. 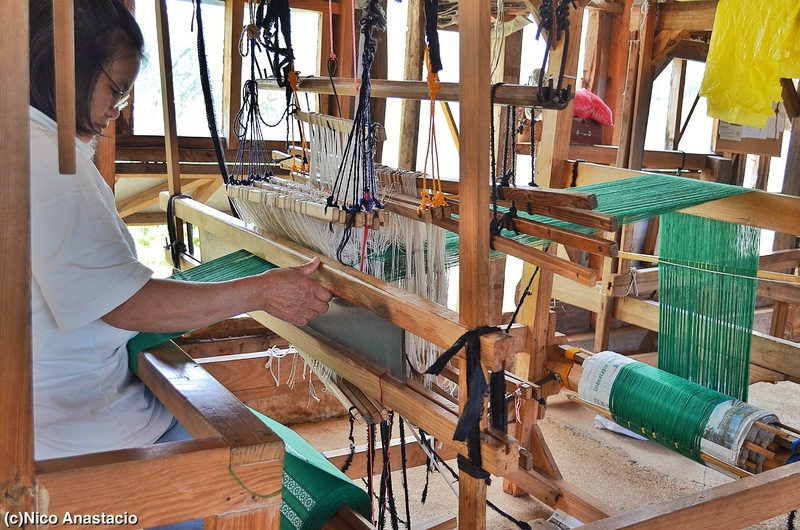 Ampacao, we were able to have a short side trip and witnessed the famous Sagada weavers in action. 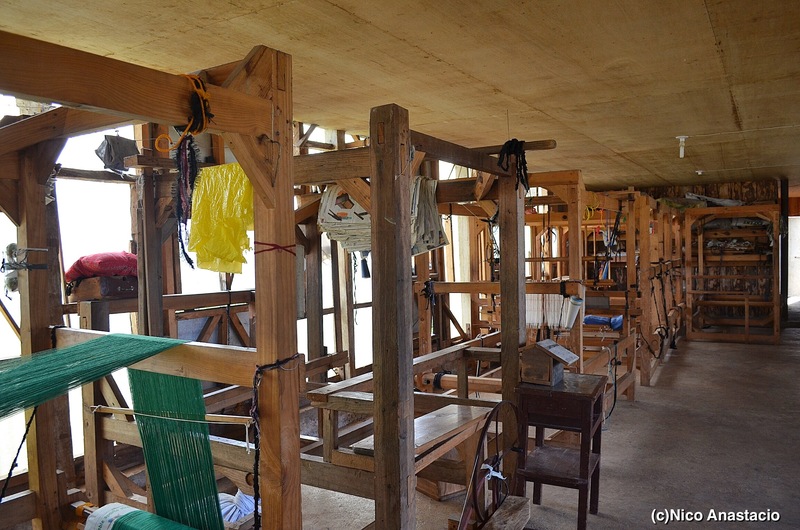 The products made by Sagada weavers were famous for its beautiful and colorful designs. These products were the best souvenirs from Sagada. This particular weaving house along the trail was owned by the Bondad family. 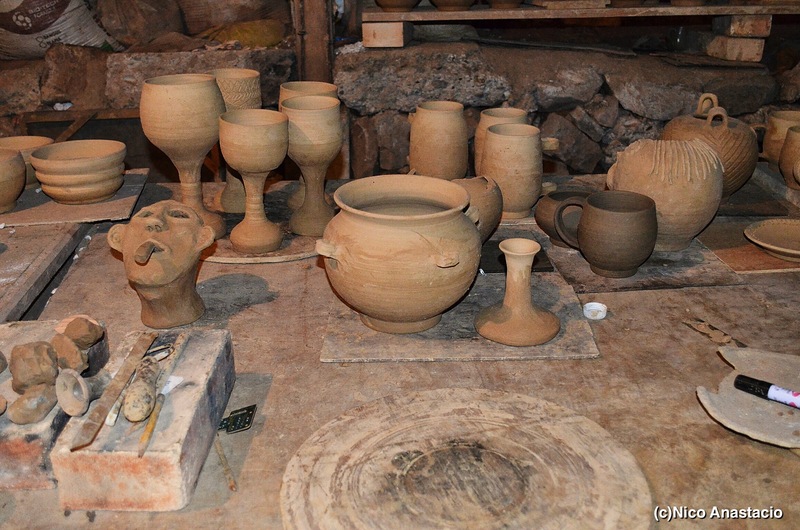 Another famous arts-craft in the municipality was its pottery. The location of the pottery house was also along the trail going to Mt. Ampacao. 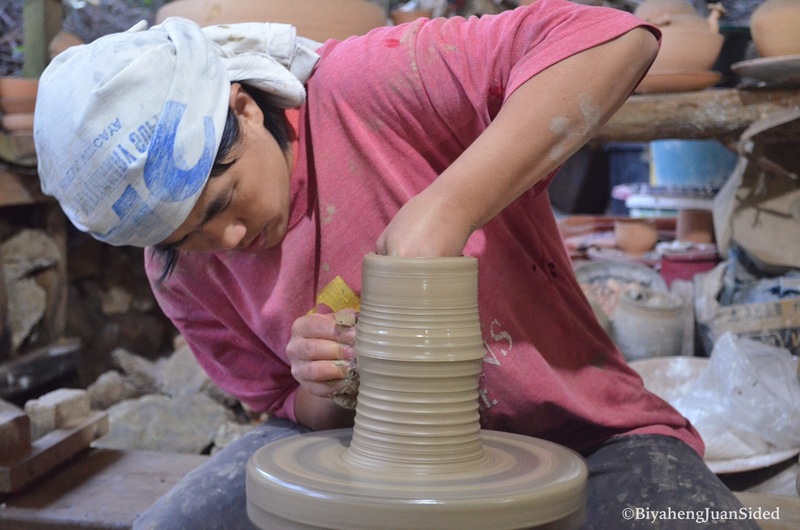 Here, a potter would do a demonstration for the whole group, and if the visitors would want to try also, they could do so. However, they could not take the pot home. This falls was also referred to as the “big” falls because of its height. It could actually be viewed even from a far distance. 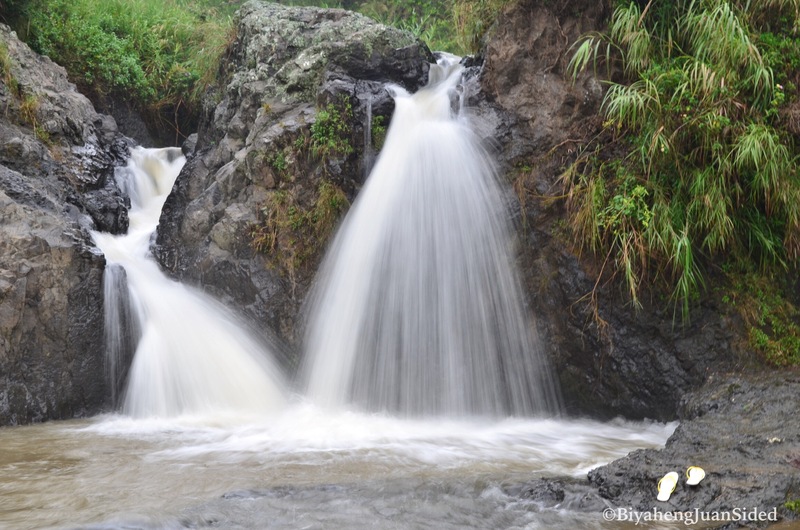 It was also called as such to distinguish it from the other falls in the municipality. 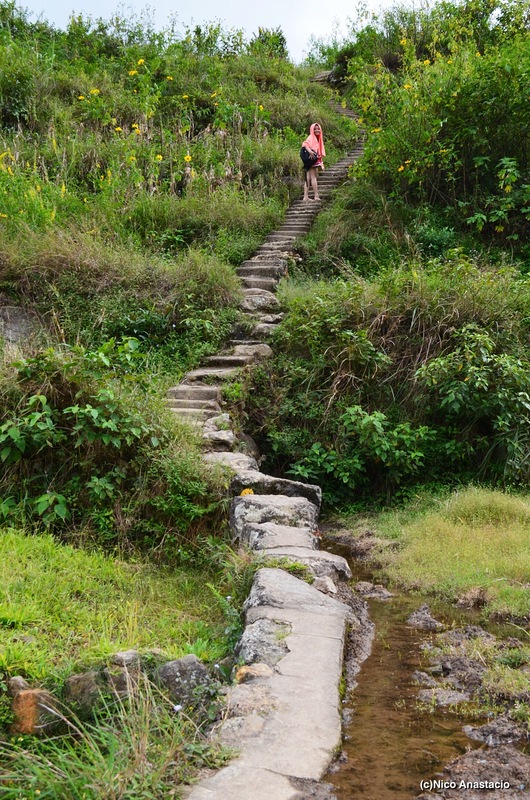 Going to the falls was not an easy task since we needed to walk up and down along the rice terraces of Sagada. Once you arrived in its location, the cold mist from the falls was enough to make you chill. But since we were there already, we wanted to experience how cold it was to actually bathe in its freezing water, so we did. 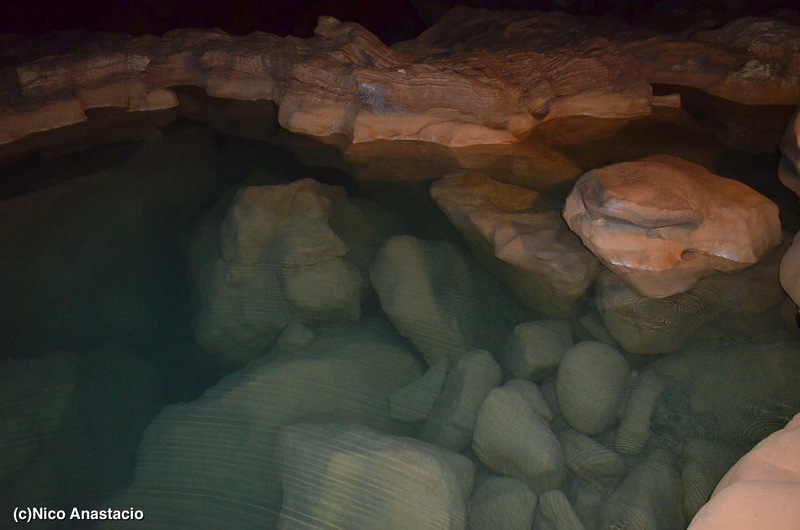 The temperature of the water in the falls was comparable to a water with a lot of ice in it. It was like we did our own version of the ALS ice bucket challenge! 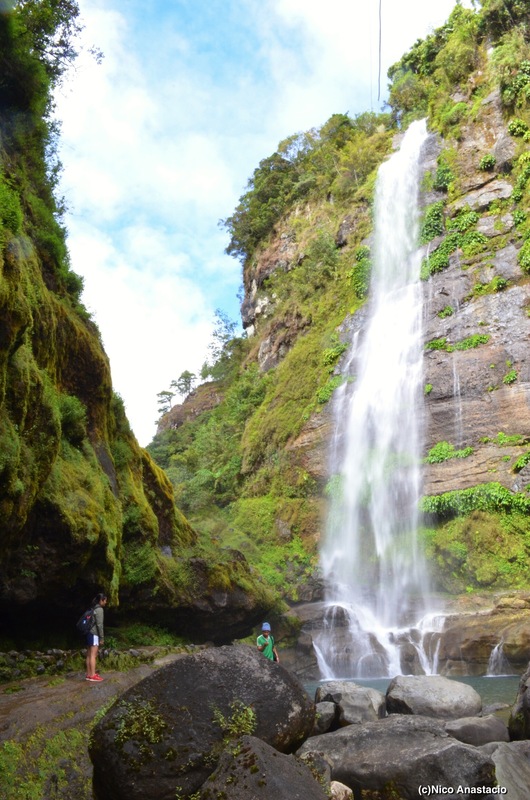 Another falls that you can visit in Sagada is Bokong Falls. 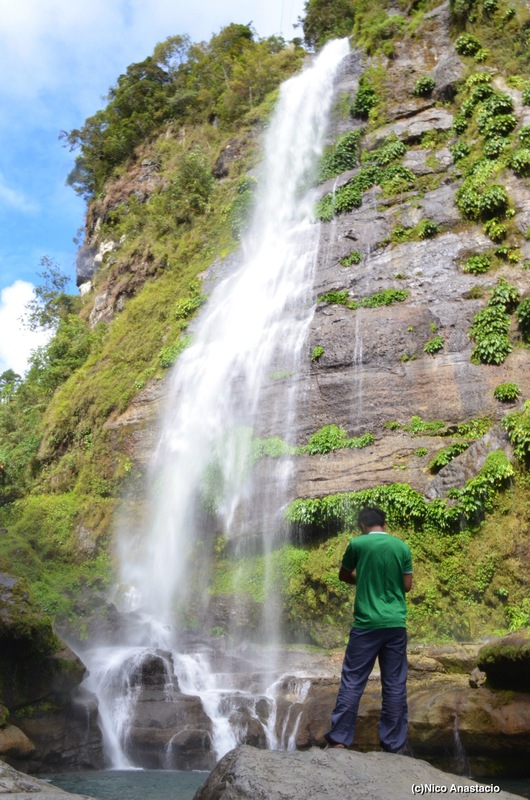 Bokong falls is close to the place of the famous Sagada Weaving store. 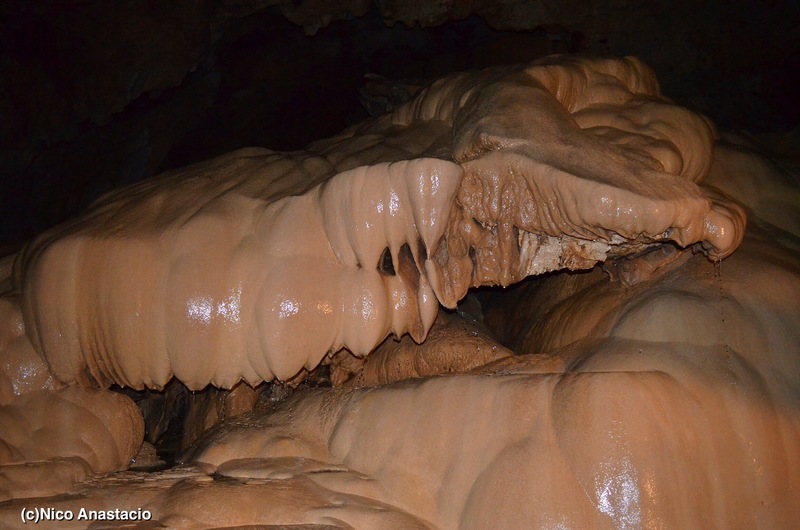 You can visit this as part of the Central Sagada tour (along with Echo Valley). This is much smaller than Bomod-ok falls, but it also has a beauty of its own. 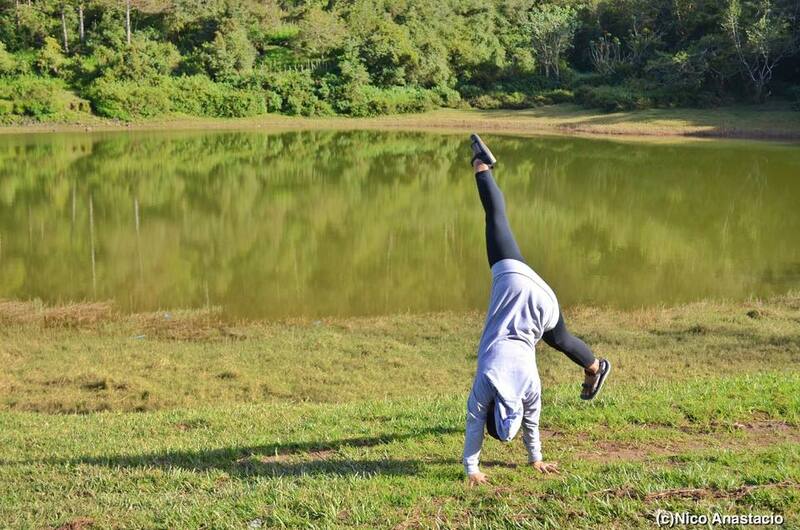 This is the most challenging activity that I did here in Sagada. When you first descend from the echo valley, going to the hanging coffins, you will easily notice the site of the rock climbing. At first, we thought that it was just low, however, as we got closer to the area, it became clear to us that it was really high. Since all of us were first-timers, it took us a considerable amount of time before we were able to reach the top. 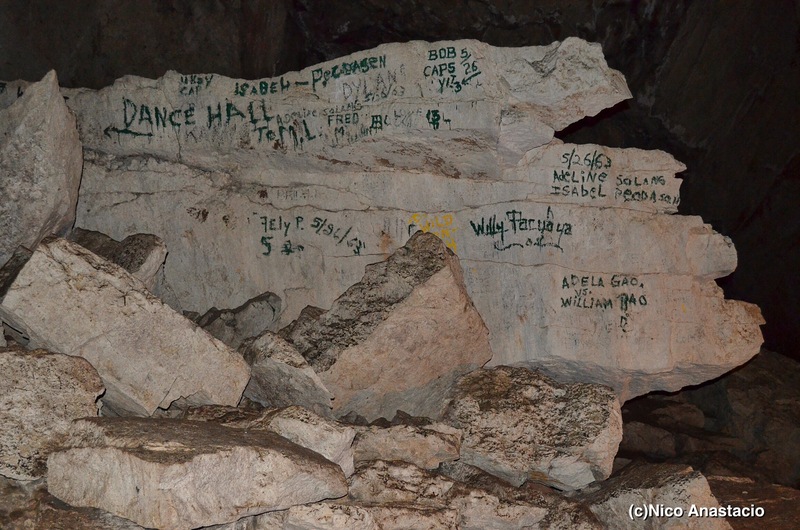 Note that the rock climbing activity is not always present at the site. 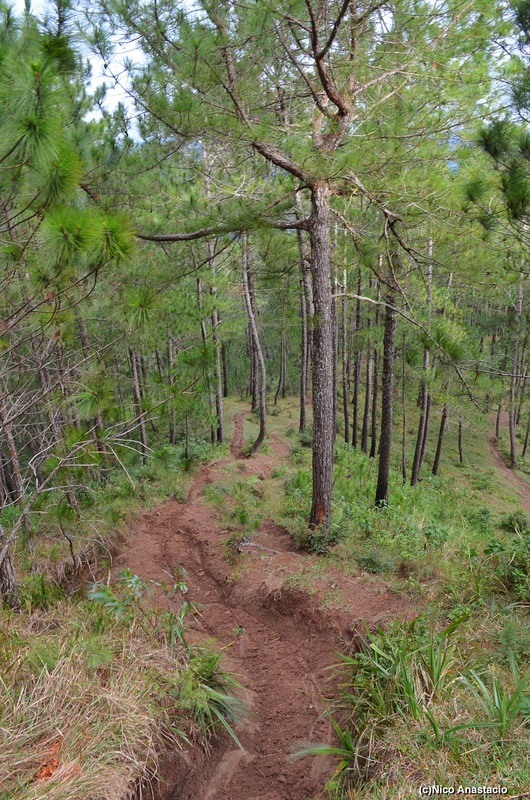 So if you are really interested to try this, you better contact Mr. Barie at Sagada Pines. 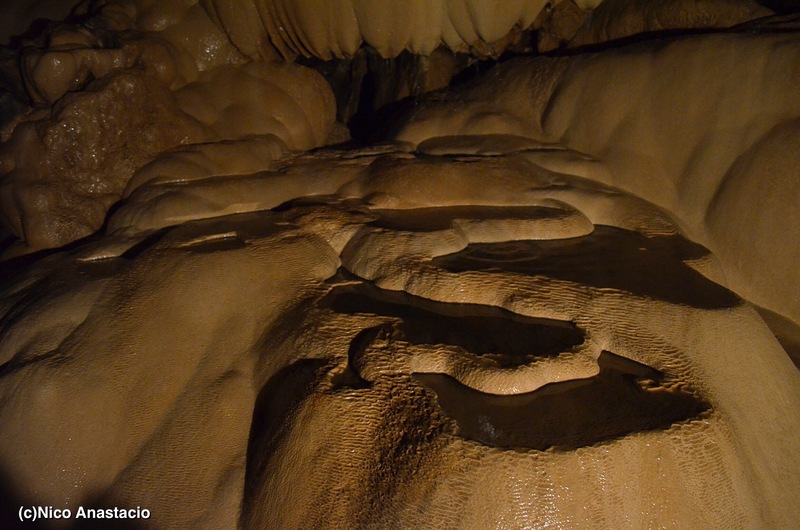 Another fun (but really challenging activity) that you can try here in Sagada is to cross the underground river. 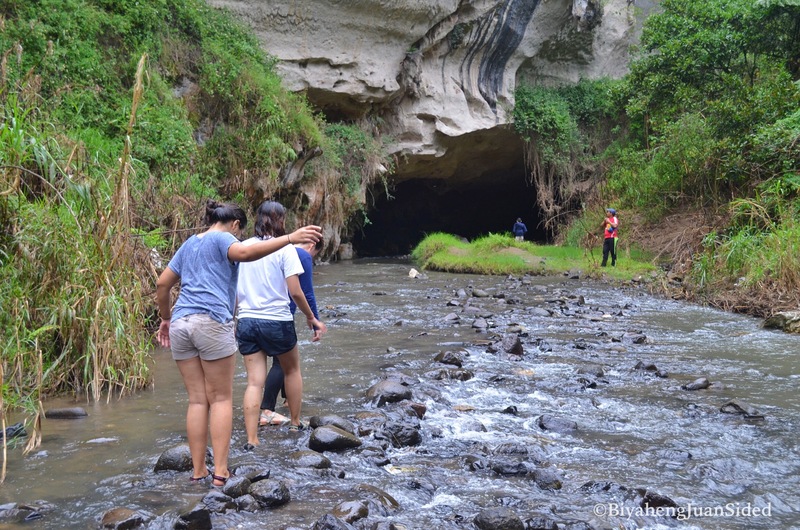 From the echo valley, you will need to trek and do some river crossings before you reach the entrance to the underground river. 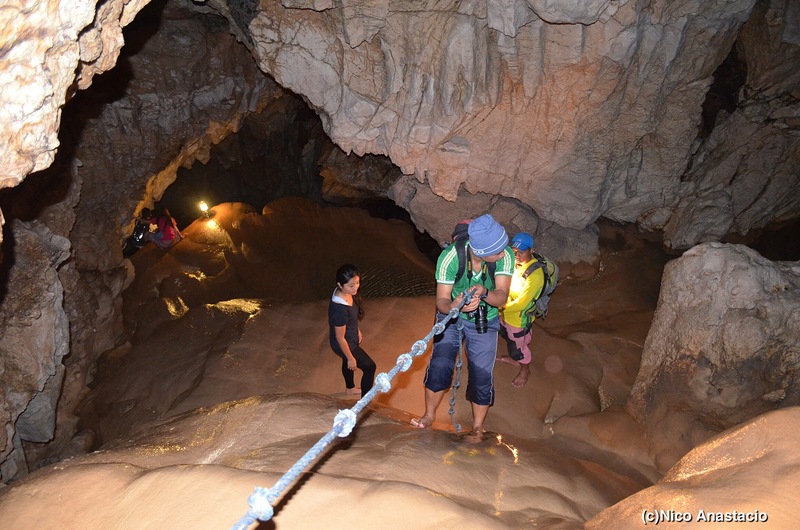 It is not as spectacular as the famous Puerto Princesa Underground River, but, for those who wants to put a little more challenge and excitement to their Sagada tour, this will definitely do the trick. 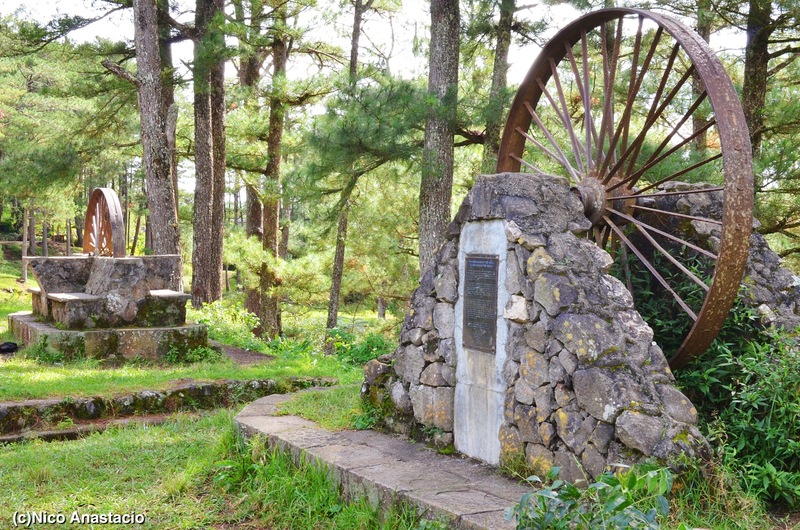 Sagada is home to the famous local oranges called Satsuma, and one of the farms that produce this is the Rock Farm. For just Php 50, you can eat all the oranges that you can. 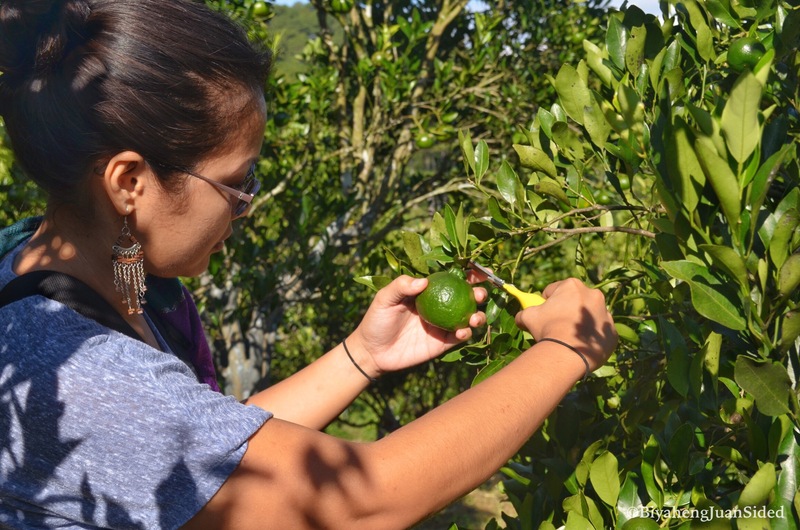 However, once you take them outside the farm, you have to pay Php 60 for each kilo. take note that you really have to listen to the instructions that will be given by the staff if you want to avoid doing unnecessary actions that may cost you (or your friends) Php 500! Since the movie “That Thing called Tadhana” hit the blockbuster, a lot of people are making a fuzz about going to the famous Mt. 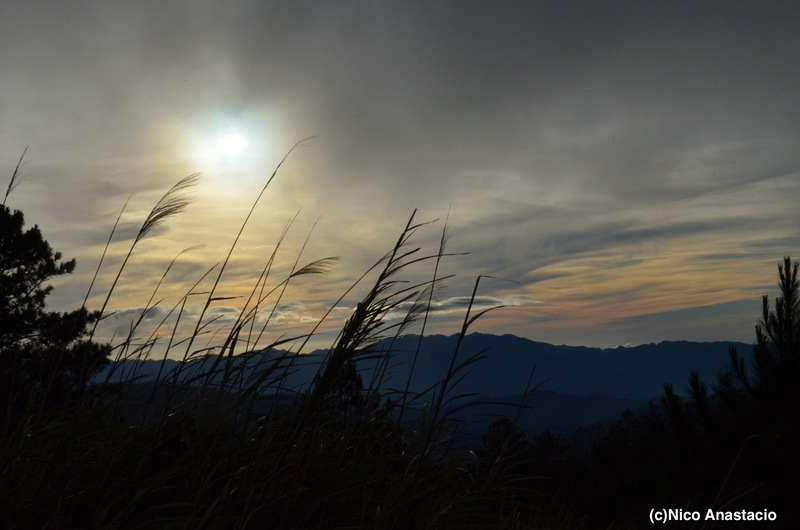 Kiltepan to witness the breathtaking view of sunrise. However, little do they know, Marlboro Mountain can offer them the same sensation, and more. By staying on the summit of this mountain, you will have a great 360 degree-view of the nearby mountains and municipalities. Also, if you are very fortunate, you will also have a chance to see some wild horses living within this mountain. Wild berries are also available on its summit. 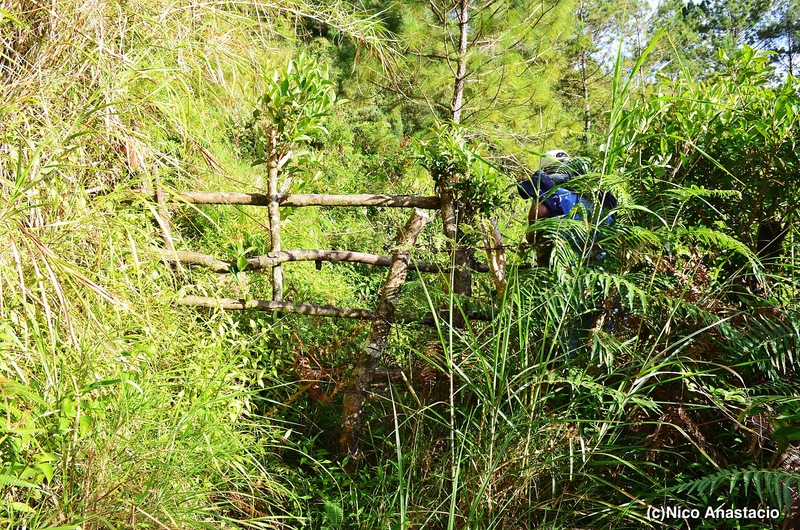 Since Sagada is endowed with various fruits, a number of wines are also produced from them. These include guyabano (sour sop), santol, persimmon, and many more . 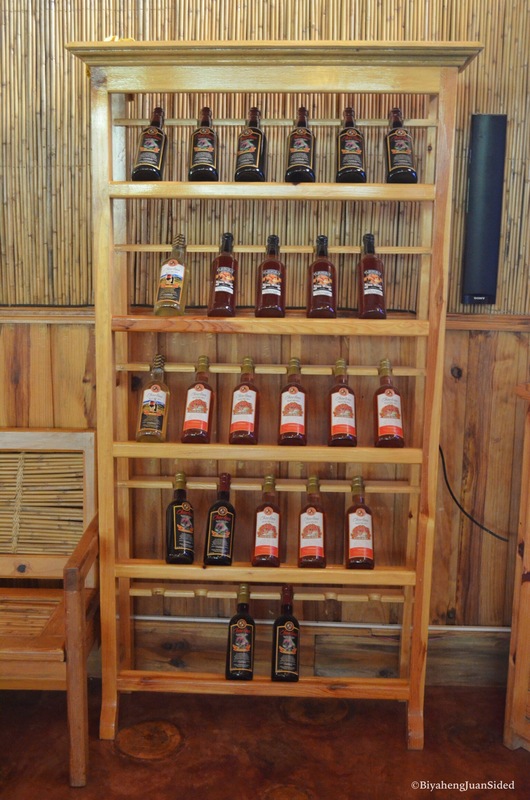 The most famous among these local wines is Tapuy (rice wine). There are a number of wineries that produce rice wine, however, I prefer the brand Pitik over its competitors. 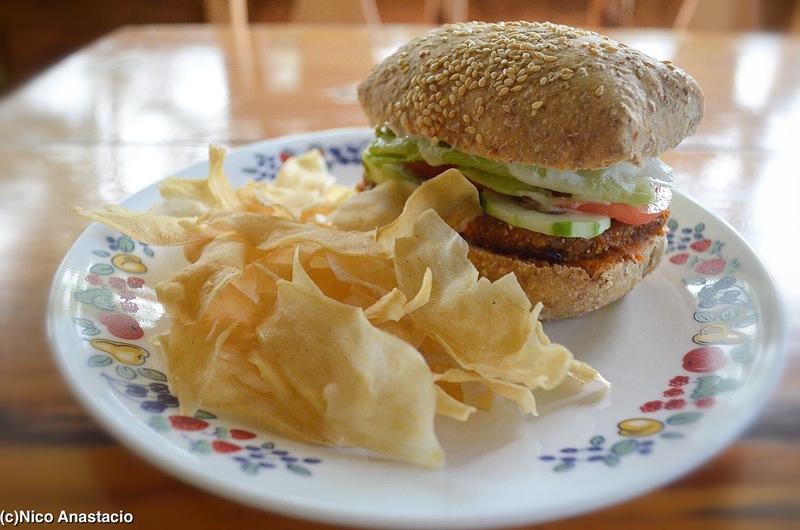 Do a Sagada Food trip! One of the best things about any travel is experiencing the local food. 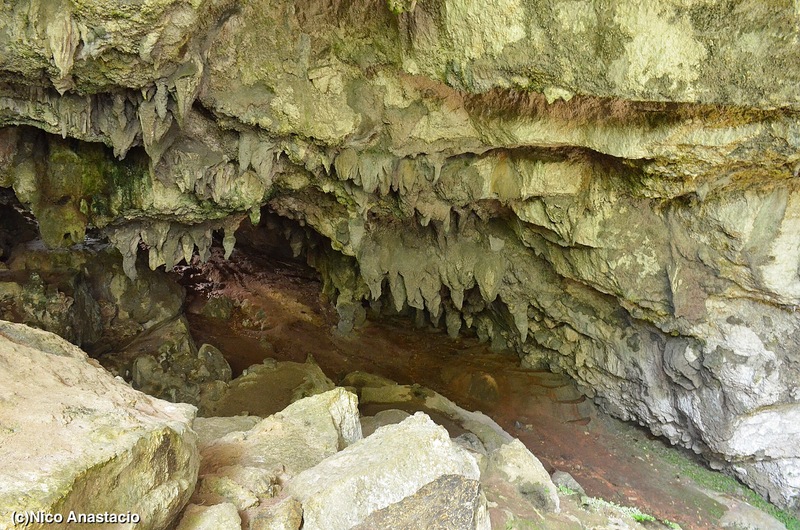 Since Sagada was a very famous tourist destination, a number of good restaurants could be found in almost all parts of the municipality to cater the different tastes of the visitors. 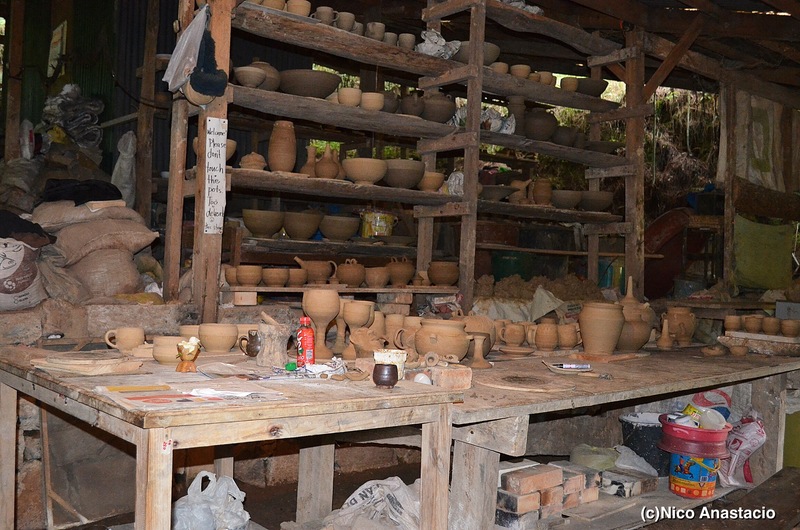 Most of these restaurants were specialty shops which served delicacies made from different Sagada products. There were also a number of local foods that you could buy along the road or at local stores (READ: Food Trip: the Sagada Way). 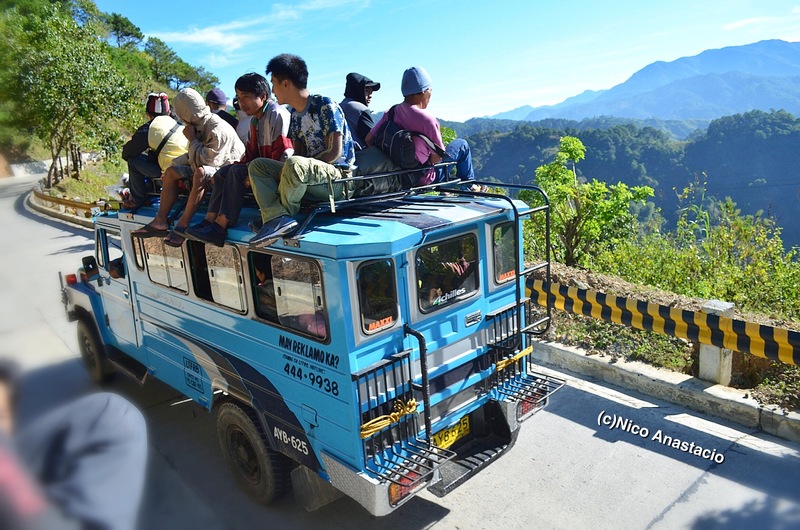 One of the most exciting and at the same time terrifying (for those with fear of height such as myself) activities to try in Mountain Province was toploading on a jeepney. Although this was not my first time doing this activity (READ: 8 Backpacking activities that you should try in Sorsogon), I was still thrilled since the experience was very different. 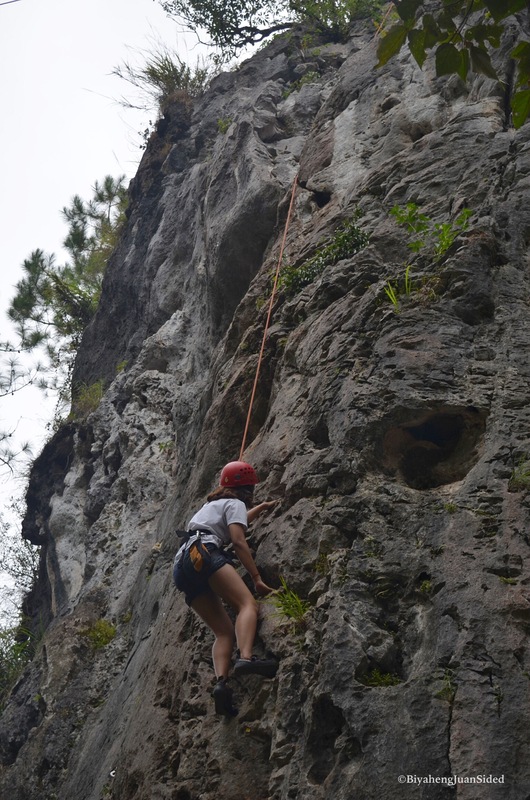 Instead of beach, we traveled along mountainous areas, passing along very high cliffs. We witnessed the breathtaking view of different rice terraces, rivers, villages, and vegetables farms. The experience in the municipality of Sagada was something that I will surely cherish and will definitely try my best to come back and try its other treasures. Pls always make sure that you inquire regarding the schedules of the trips while staying in Sagada so you won’t miss them. 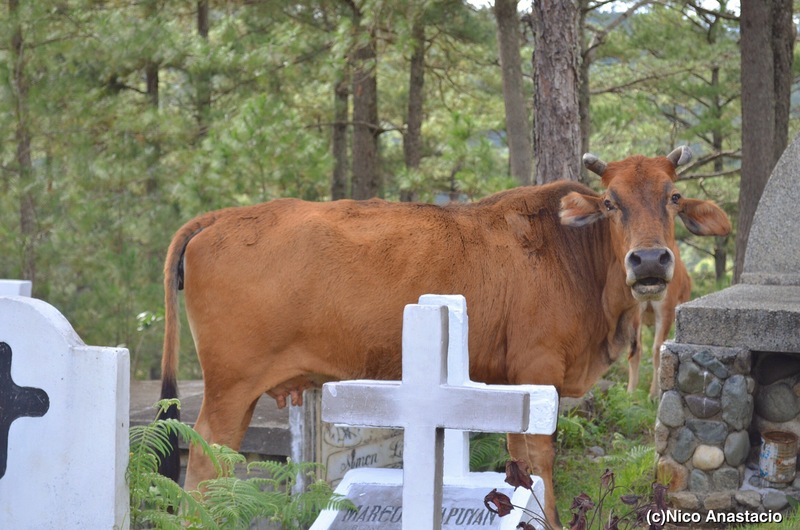 Tour guides were available in the town proper of Sagada. They could take you to all the tourist spots in the municipality. Most of the tour guides in the area were organized especially the tour guides from the tourism office of the municipality. 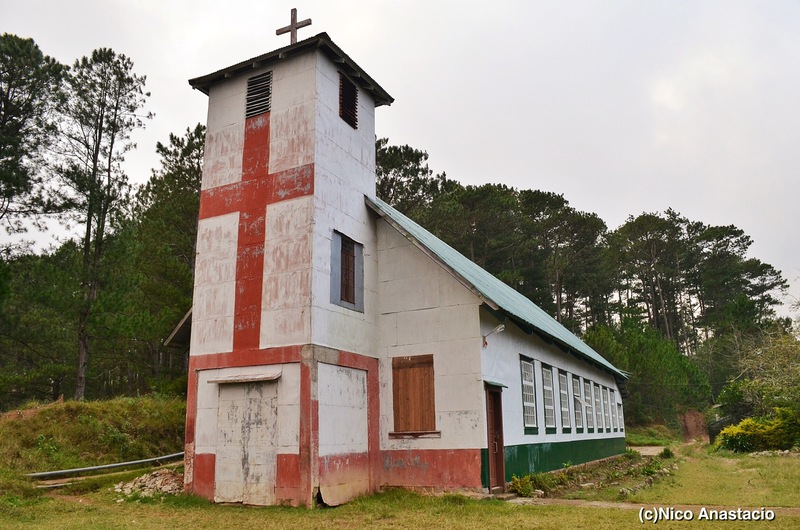 Book ahead of time for a trip going to Baguio, especially if you are planning to visit Sagada during a long weekend. 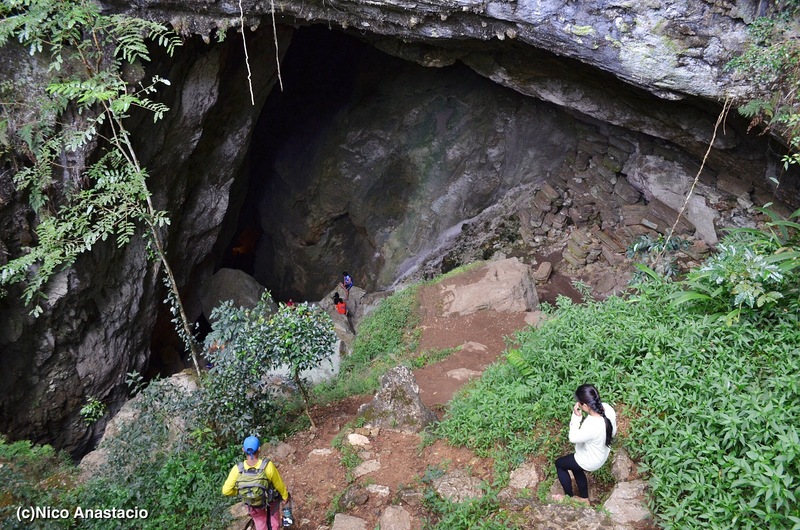 For more info, you may go to the website of Sagada Genuine Guides Association, Inc. by clicking this link. What beautiful photographs! I especially like the hanging coffins.